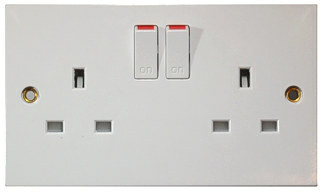 Mains powered spy surveillance bug adaptor socket extension lead. All our spy surveillance bugs below come with high gain microphones for outstanding sound quality and can be used in normal mode where you call the bug to listen or voice activated mode where the bug will call you when it hears sound. Sending a simple text to the bug will change the mode you require. All items come with a sim card already installed but instructions on how to change the sim to one of your choice is included. Really simple to setup and use just plug in and go! This is the ultimate in covert room surveillance. 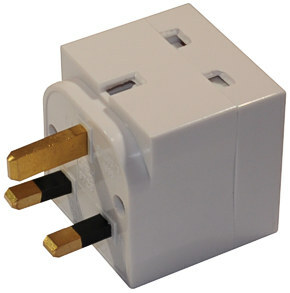 This is a fully functional 2 way mains adaptor but conceals a hidden GSM bug. You call the device using a telephone from anywhere you like, the device will automatically activate allowing you to hear all conversations up to 40 feet away from the device with crystal clarity. This bug can be used in voice activated mode also. Simply send a text to the device and it operates in voice activation mode and will call you when it hears any sound. By sending a different text, the bug will revert back to normal mode operation where you have to call the device. This is the latest model with special high gain pre-amp for excellent sound quality. It can also accept any sim card in any country and the adaptor is supplied with a standard UK sim card already inserted but you can change the supplied sim card for a different one, instructions on how to do this are included. This is the ultimate in covert room surveillance. This is a fully functional mains socket but conceals a hidden GSM bug. You call the device using a telephone from anywhere you like, the device will automatically activate allowing you to hear all conversations up to 40 feet away from the device with crystal clarity. This bug can be used in voice activated mode also. Simply send a text to the device and it operates in voice activation mode and will call you when it hears any sound. By sending a different text, the bug will revert back to normal mode operation where you have to call the device. This is the latest model with special high gain pre-amp for excellent sound quality. It can also accept any sim card in any country and the socket is supplied with a standard UK sim card already inserted but you can change the supplied sim card for a different one, instructions on how to do this are included. This is the ultimate in covert room surveillance. This is a fully functional 4 gang mains extension lead but conceals a hidden GSM bug. You call the device using a telephone from anywhere you like, the device will automatically activate allowing you to hear all conversations up to 40 feet away from the device with crystal clarity. This is the latest model with special high gain pre-amp for excellent sound quality. This bug can be used in voice activated mode also. Simply send a text to the device and it operates in voice activation mode and will call you when it hears any sound. By sending a different text, the bug will revert back to normal mode of operation where you have to call the device. It can also accept any sim card in any country and the adaptor is supplied with a standard UK sim card already inserted but you can change the supplied sim card for a different one, instructions on how to do this are included. This is the ultimate in covert room surveillance. 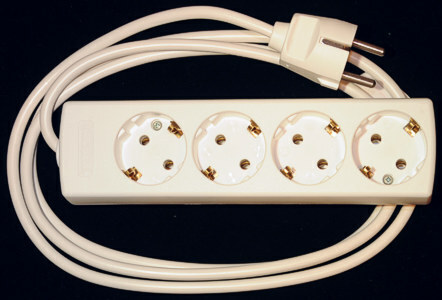 This is a fully functional 4 gang European 2 pin type mains extension lead but conceals a hidden GSM bug. You call the device using a telephone from anywhere you like, the device will automatically activate allowing you to hear all conversations up to 40 feet away from the device with crystal clarity. This is the latest model with special high gain pre-amp for excellent sound quality. It can also accept any sim card in any country and the adaptor is supplied with a standard UK sim card already inserted but you can change the supplied sim card for a different one, instructions on how to do this are included.